Multipolar neurons have three or more processes attached to the cell bodies. 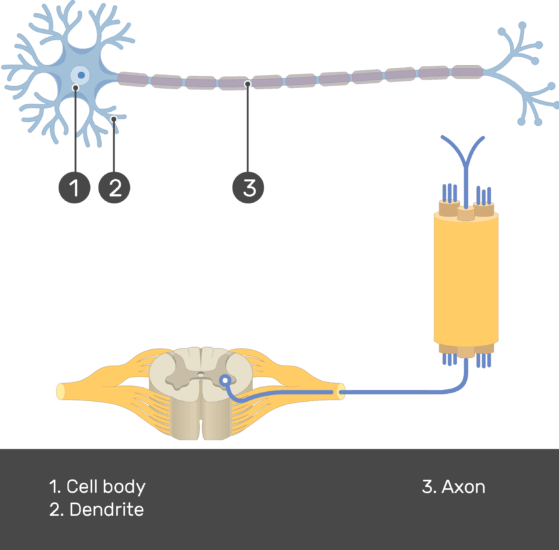 One process serves as the axon, which conducts electrochemical impulses (action potentials) between cells. The remaining processes are dendrites. Togather, the cell body and dendrites form the receptive zone of multipolar neurons. 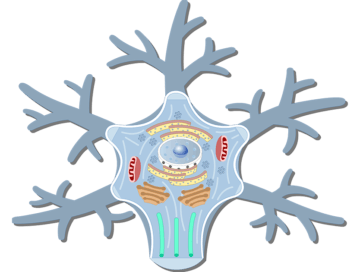 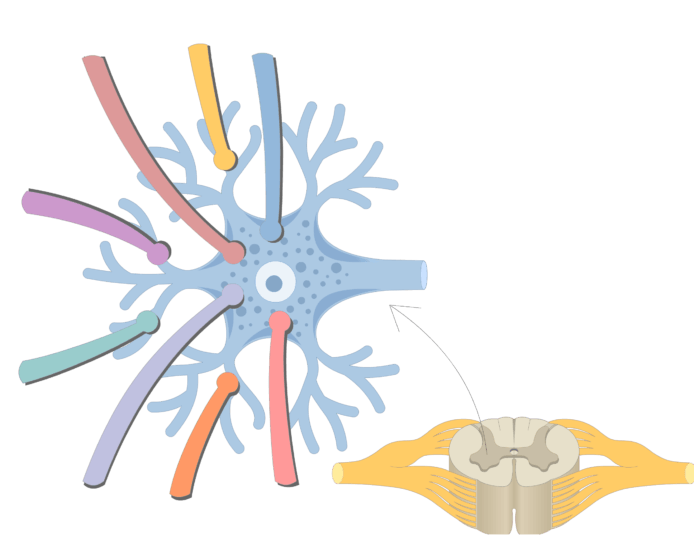 The dendrites and their branches provide additional surface area for the axons of other neurons to approach and form synapses. A combination of excitatory and inhibitory synapses allows neural integration to occur between central nervous system neurons. 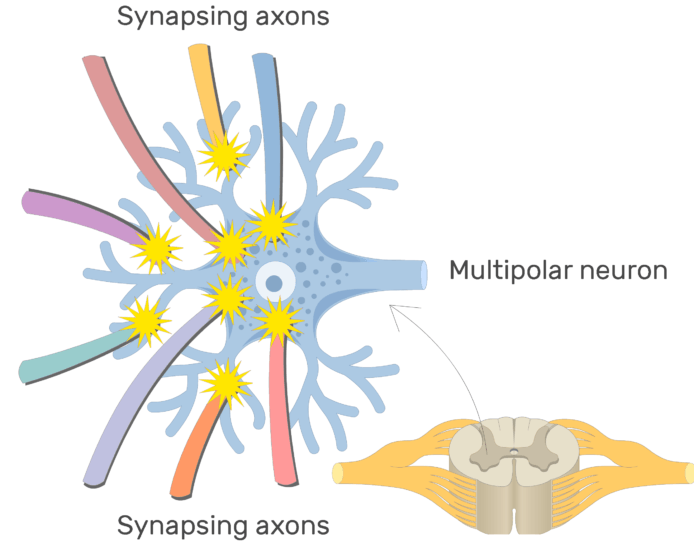 The axons of multipolar neurons are often very long and can conduct action potentials throughout the brain, down the spinal cord, and along the nerves. 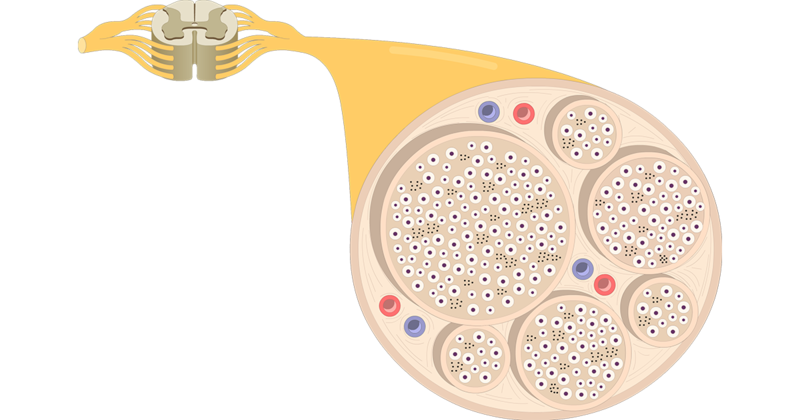 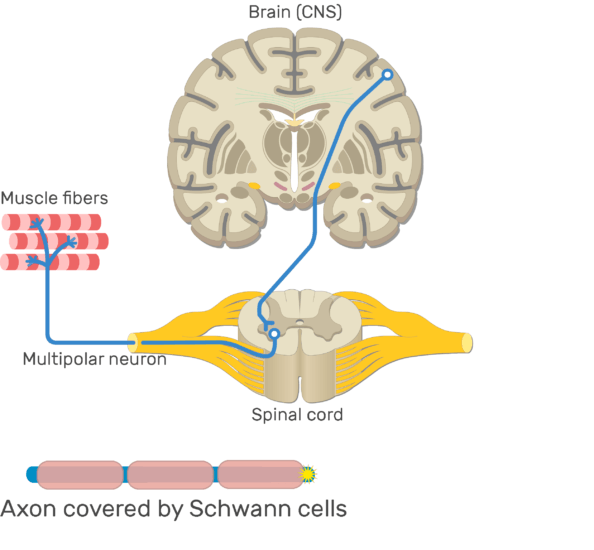 Axons are often covered by a series of Schwann cells. 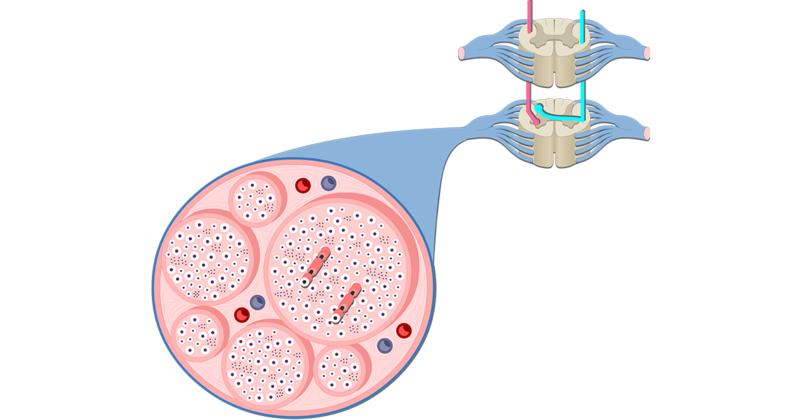 Impulses only occur at the gaps between schwann cells, which accelerates impulse conduction. 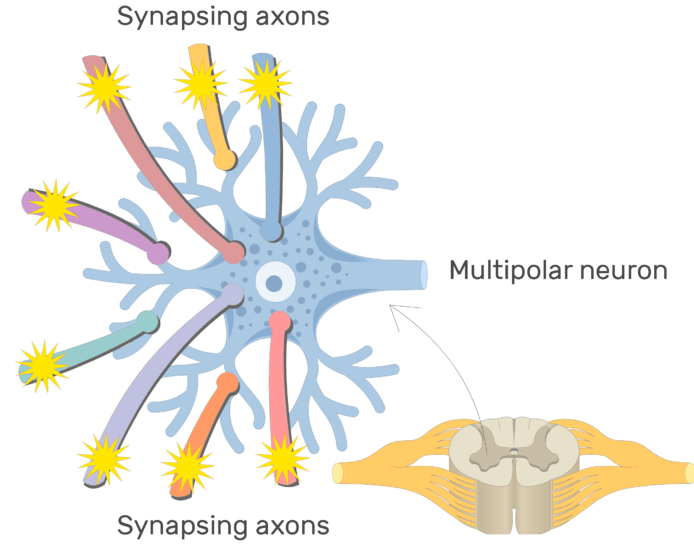 Multipolar neurons differ in size and shape depending on their location and function. This variation can be seen in some of the neurons that control body movements. Pyramidal cells (upper motor neurons) originate in the motor cortex of the brain and carry action potentials to the spinal cord. 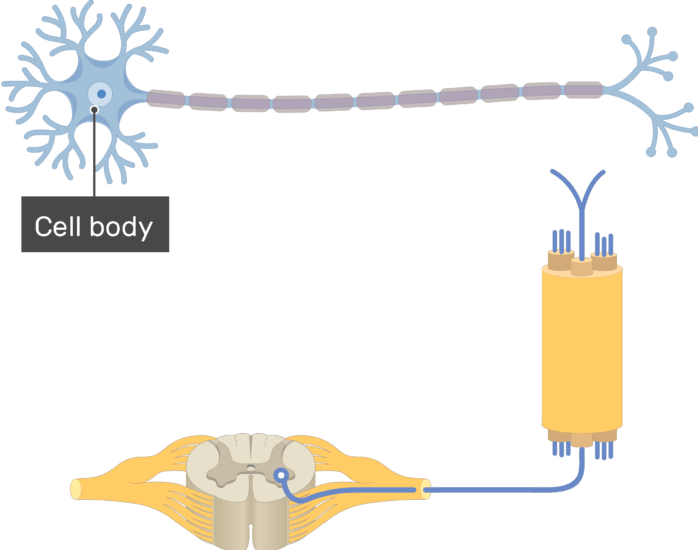 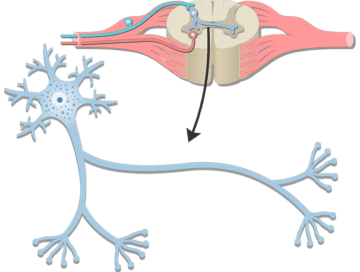 From here, lower motor neurons (motor neurons) conduct action potentials along the nerves to the skeletal muscle cells, causing them to contract. 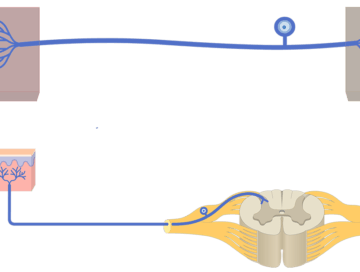 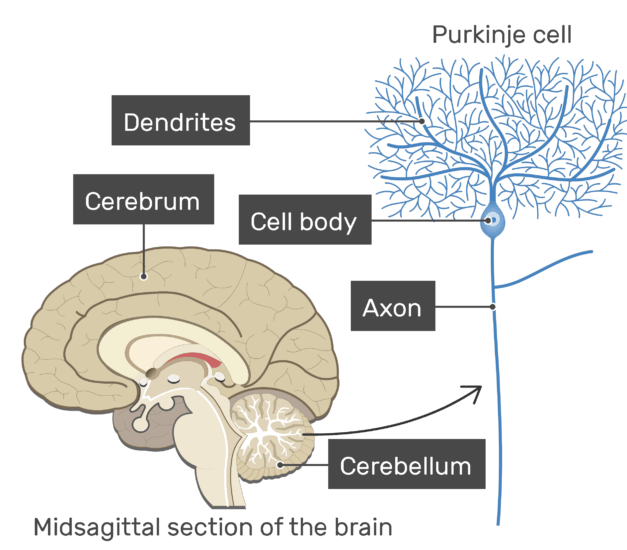 Purkinje cells are part of the cerebellum, which helps coordinate and refine muscular actions as they occur. Their large dendritic spread is responsible for their unique appearance. 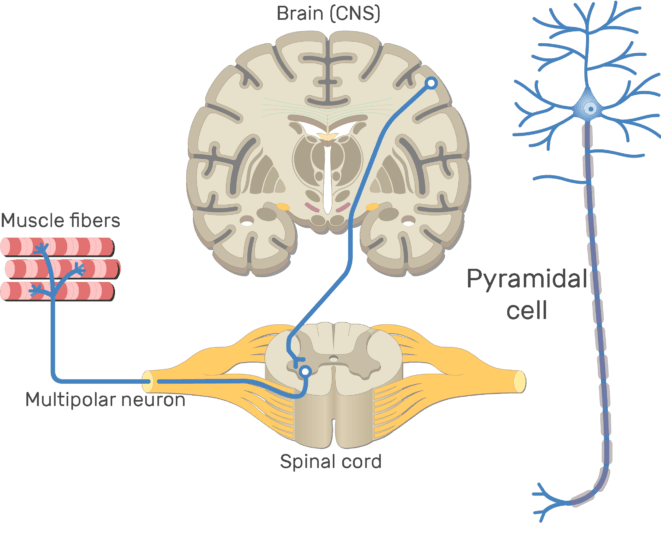 It also allows each Purkinje cell to recieve input from thousands of other neurons.